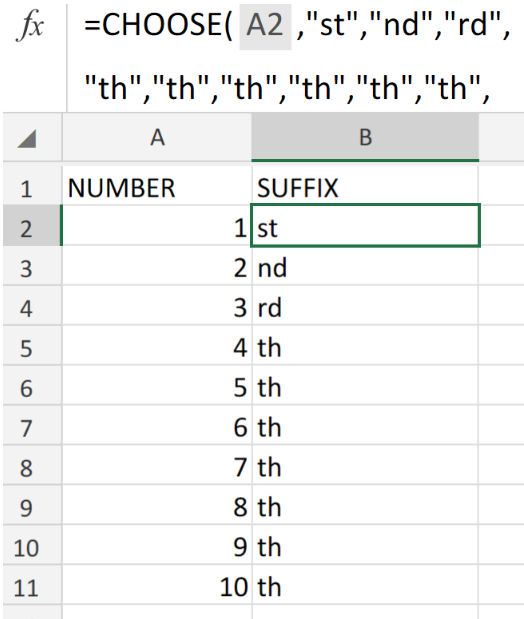 If you want to find the position of a cell in the defined list of cells, you should use Excel RANK lowest to highest function. This function allows you to determine the position of a certain number in number arrays. In this tutorial, you will see how to rank chosen cell, how to get unique or average rank and how to rank number based on multiple conditions. All of these are useful functions in daily Excel usage. 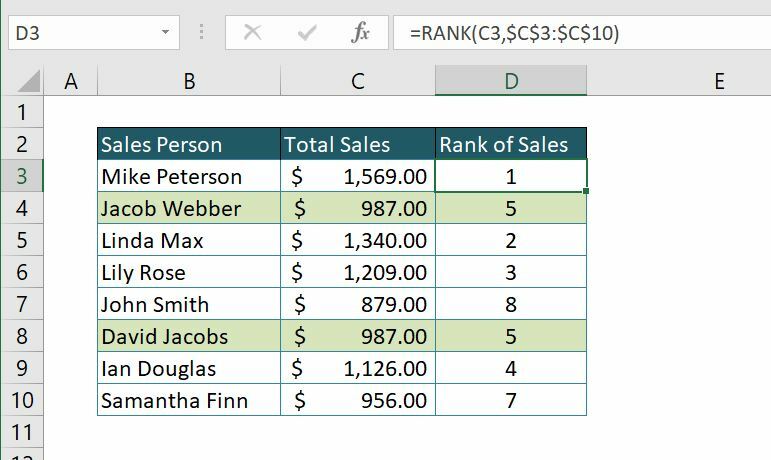 There are several ways to use rank figures in Excel and combine other function with the RANK function. 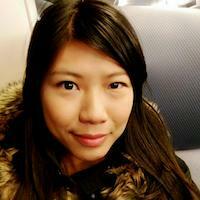 In this example, we want to find the position of Salesperson based on his/her sales volume. Our number will be cell C3 and Ref (list of numbers) C3:C10 (Be sure to put “$” or press F4 button in this range, because the function will be copied to all rows). In this case, we omitted the Order parameter, which means that we want a descending order. The result is rank number one for the first cell (C3) – which is the greatest sale in this list. We are omitting the barrier of rank function by using COUNTIF function. Easily explained, whenever ranking value appears once, the COUNTIF function result is zero, and the formula is equal to RANK.EQ function. 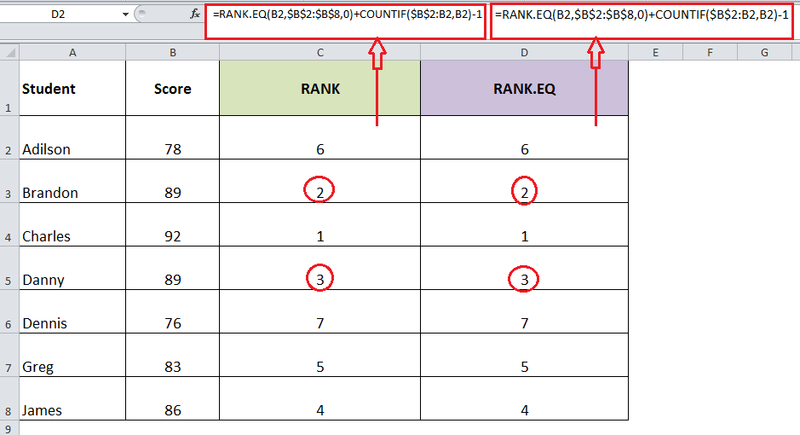 For same ranking values, COUNTIF function adds zero for first multiplied value in the range. For the second same value in the range, the COUNTIF function will give you a result in 1, adding 1 on the RANK.EQ function result. You can also use the RANK.AVG function, for ranking values in certain cell ranges. The only difference from the RANK/RANK.EQ functions are the treatment of equal values in a range. For the same values in the range, this function will give you the average value of the range. As we can see, the ranking result for the same values is 5.5, an average of 5 and 6 ranking position. In the background, a formula is assigning 5 to the first equal value, and 6 to the second, calculating average of these two numbers. In this example, we want ranking first for Total sales in 2017, and if there are two same amounts, we want to rank based on Total sales 2018 values. Similarly to unique rank, function COUNTIFS will look at columns C and D this time, and return 1 if there is one greater value in Column D (Total values 2018). 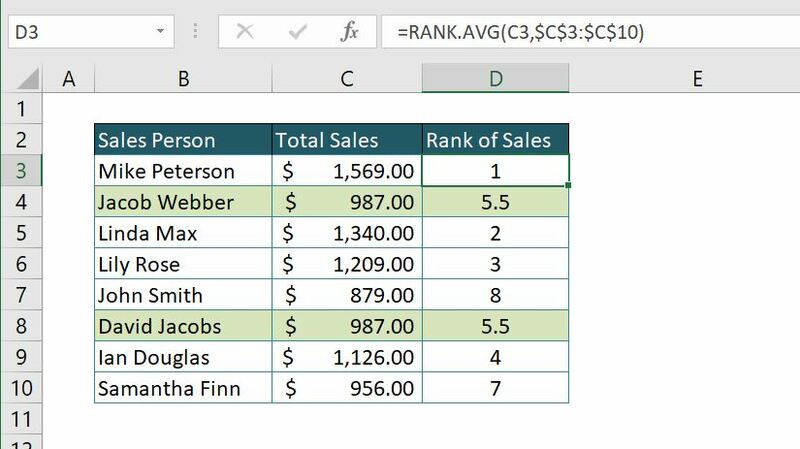 In our example, we have Jacob Webber and David Jacobs who have the same sales in 2017 ($987), but in 2018 Jacob has $1,078 and is ranked better than David who has $987. 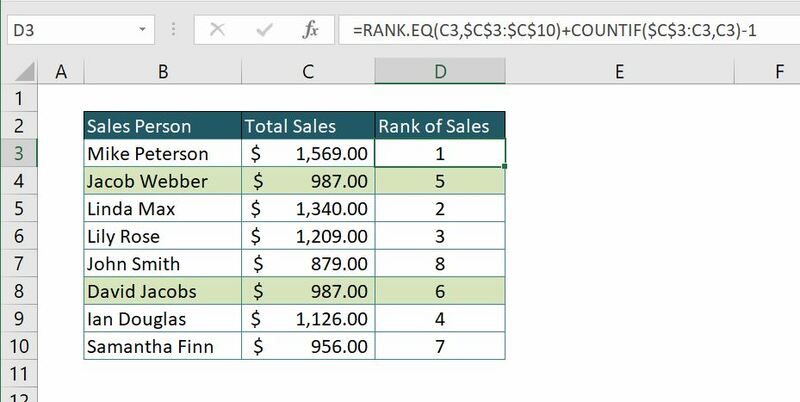 how do you calculate percentile rank in excel when the question mean is known for 10 companies. Example the Mean is 3.58 from the sum of the 10 companies Mean divided by 10. The lowest Mean of the 10 organizations is 2.85 and the highest Mean is 4.22 Our goal is to be able to show the percentile rank of the 10 companies for their mean.